Exploring founder Walter Gropius’s question: ‘How do we want to live together?’ a new Bauhaus Museum in Weimar, Germany, home of the legendary school of art and design founded a hundred years ago, has opened as a highlight of the country’s celebrations of the movement’s centenary. The museum aims to be a venue of open discussion, experimentation and sensory experience. With a focus on the early phase of the most influential school of art and design of the 20th century, the museum houses the treasures of the world’s oldest Bauhaus collection, revealed for the first time in such depth and scope. 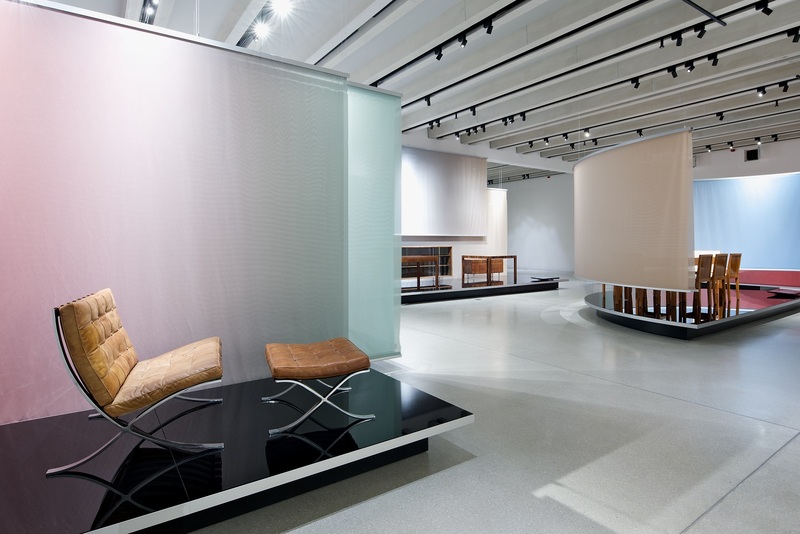 Designed by the architect Heike Hanada, the minimalistic, cube-shaped museum with its impressive night-time illumination presents the collection and its relevance to contemporary society on five levels comprising 2,000sqm of exhibition space. The museum highlights the history of the Bauhaus to explore issues related to the design of our living environment today and in the future. “When the Bauhaus Museum joins Weimar’s museum landscape, the world will be watching. We have opened a new window – for the presentation of the Bauhaus, its prehistory in Weimar and its enormous impact after it was expelled from Weimar. At the centre of our concept is the aim to present modernism as a battle of competing ideas, exemplified by the displayed objects. The emergence of the Bauhaus 100 years ago reminds us that we, too, are the designers of our world and must remain so,” explained Hellmut Seemann, president of Klassik Stiftung Weimar.